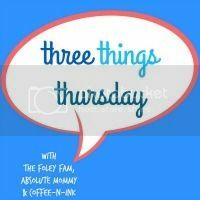 Welcome to another installment of Three Things Thursday!! This week we have invited Tausha from Taush.O to join us for Three Things Thursday. Everyone say hello to Tausha and stop by her blog to see her totally adorable toddler and some amazing DIYs. Thanks for joining us Tausha! 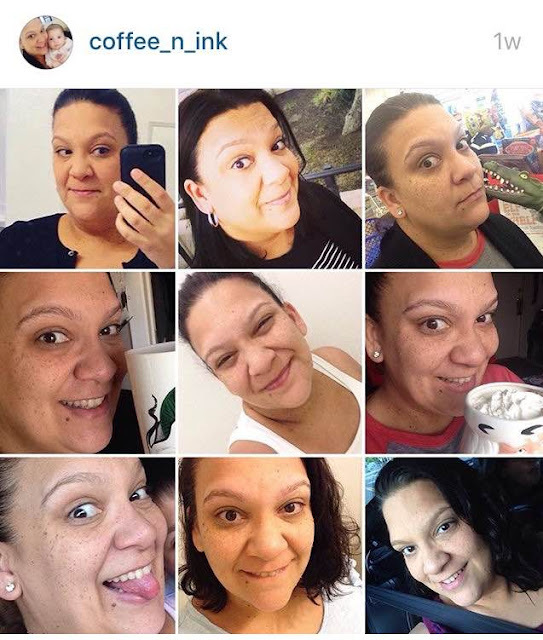 Find her on Instagram! 1. Did you get a chance to read my first post of the year? You know, the one where I talk about my lack of resolutions or one little word? Well, I was re-reading it after a group text convo with Megan & Kristine. I was all worried that I didn't have my word for 2016 when Megan says, "I thought your word was Renee". So, as I said, I re-read the post and yes, pretty clear right there. It's Renee. I'm going to be more Renee. Envelope myself in Renee-ness. To me being more Renee will be that I do things better. Better for my mind, my body, my soul. I hope to show you all how this Project Renee will progress as the year flies by. I'm really looking forward to this new journey I'm travelling. 2. I posted this on IG this week after a no-good, awful morning. Turns out I wasn't the only one having a crappy time. So I bought myself not one, but two, of my favorite desserts on earth. I am a sucker for fruit tarts. I've said this before, it's just a bad day not a bad life. I rewarded myself for getting through it. I needed it. I wanted it. I'm so good with that. There will be more bad days, it's inevitable. After I devoured both of these in one sitting, I stopped. I was good with feeding my bad day, but am I okay with always doing that? No, not really. I think I need to figure out different ways to make things better that don't involve food. Agree? 3. My baby girl turns four months today. FOUR MONTHS! Goodness, it has flown by. In a few short weeks I'll be back at work. I'll miss these days full of her. It's the only time with any of my three kids that I took advantage of being out of the office for all the time allotted to me. It's also the first time that I've breastfed this long. So proud of myself for doing it, too! It's so different this time around. I don't feel rushed. I'm taking in all the moments. I'm loving this time around. Another #threethingsthursday for the week! I loved reading your posts last week. Can't wait to read what you come up with this time, loveys! 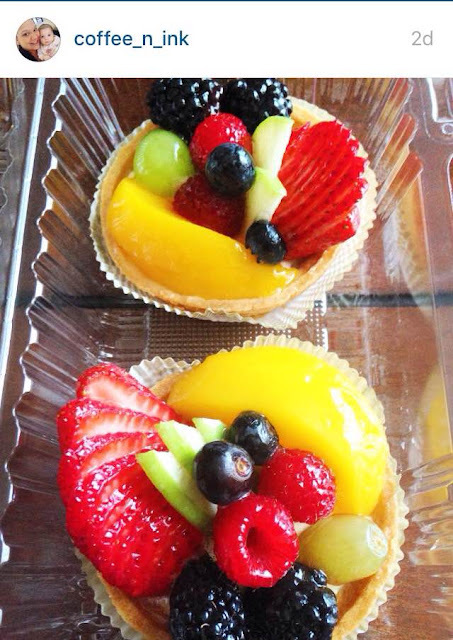 Those fruit tarts look really yummy!! And baby girl is quite delicious too! Thanks for hosting! 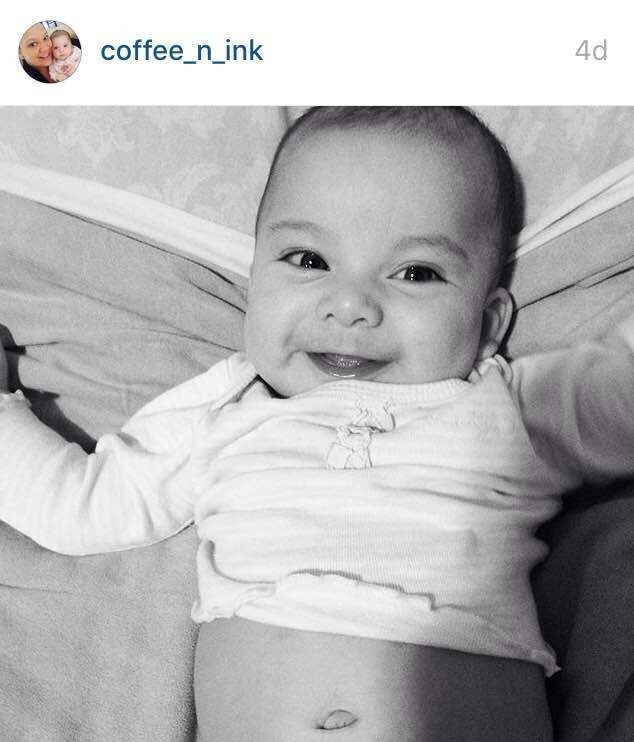 Anika is such a sweet baby, can't believe she's already 4 months. Where has the time gone? So glad you've been able to stay at home with her.